While some might argue that golf is never a game that can be totally mastered and even by the best players who earn their living from the sport, there is no dispute that anyone can get better with a little time and application and the right practice facilities. Here at West Malling GC we are able to offer a range of areas where you will find our members and visitors diligently working on improving their game. The largest of these is the 11 bay covered driving range where you are able to open your shoulders and feel the flight of the ball before taking to the course. For those wishing to work on their short game, there are two putting greens, and both have been specifically prepared to enable those preparing for their round to get a feeling for the speed of the greens they will encounter on the course. There is also a practice chipping green and bunker available to golfers looking to perfect those round-saving up-and-downs. Puchase a multi card for only £5.00 and save when you purchase mulitple baskets. Includes 1 FREE Basket of balls. 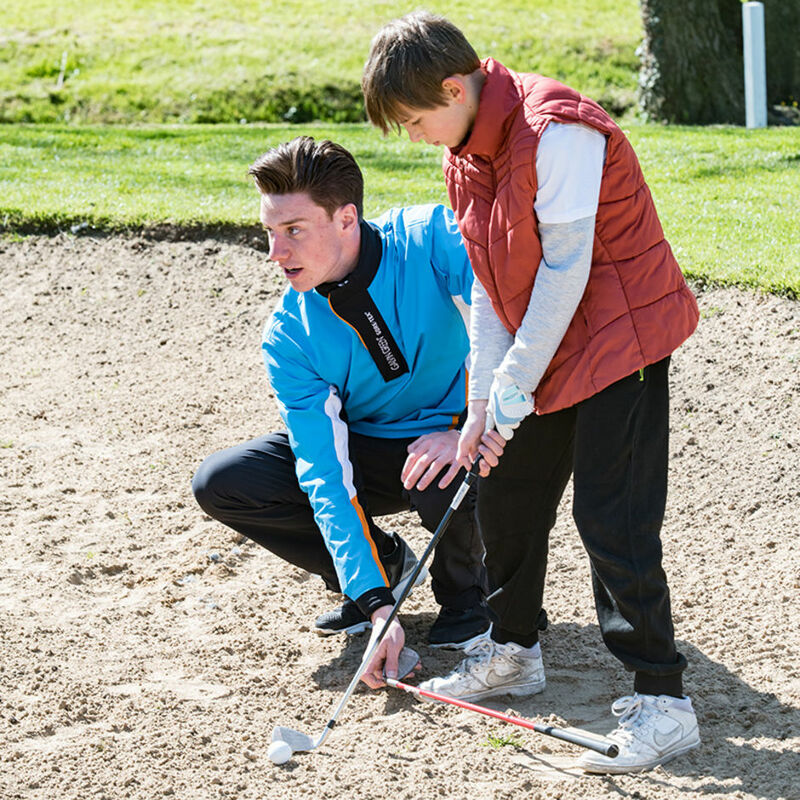 Swing Rite Golf School, part of Duncan Lambert Golf is situated right here at West Malling. With 4 qualified PGA Professionals and fantastic custom fitting facilities, there really is no better place to receive your golf lessons. The weekend academies as they are known have become locally renowned, with the premium being on fun. The youngsters compete for the ‘Race to West Malling Title’ obtaining points each week for various challenges named after tour destinations! Challenges include games like the ‘target boards’, ‘golf tennis’ and ‘goal keeper challenge’!